How I Use Cayenne Tincture – It’s Hot and Makes Me Dance! 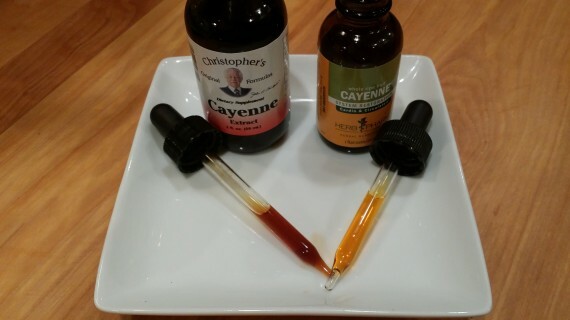 I have been using cayenne tincture quite a bit this year. I find it more interesting than just ground cayenne pepper, especially when adding it to water since the tincture effortlessly goes right in the water without needing any stirring. The sh*t is hot! I can’t help but dance like I have a few ants in my pants after I have some. Yowza. 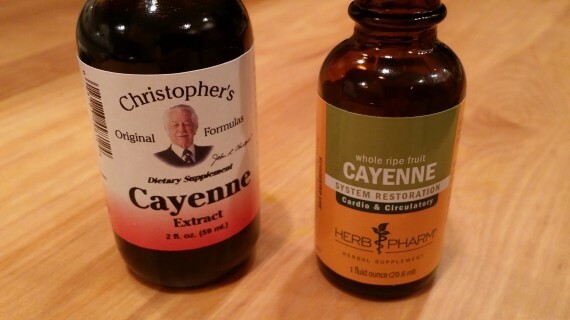 I’m not quite sure how I came upon cayenne tinctures but I suppose it was on Amazon. I was probably looking for something related and Amazon beckoned me with “Hey, maybe you’ll like this, too.” I must admit, this has been a way for me to find some really interesting things I didn’t even know I needed. Trusty ol’ Amazon looking out for my best interests. So, cayenne has a number of health benefits including warming your body in the cold, if you can handle the spice. Over time I find that I can tolerate more and more. I’ve also read interesting claims on the internet about it helping in the event of a heart attack. Weird, but who knows. Many of you are probably aware that it’s a main ingredient in the master cleanse beverage, which inspired my Spicy Metabolic Vitamin C Tonic. So, yeah, cayenne is popular and buying it in the form of a tincture is my preference. The first tincture I bought was from Dr. Christopher (I like quite a few of his products) and the reviews were encouraging. I loved it and used it over the year. I bought a bottle for my medicine cabinet and my kitchen cabinet. Good stuff. But, then I ran out one day and Amazon didn’t have it available with Prime shipping (that means I’d have received it lickety-split) so I’d have to wait maybe a week. And, I was out of it so I wanted some fast. I searched on other cayenne tinctures and came up with Herb Pharm which is another phenomenal company where I source many tinctures. I figured I couldn’t go wrong with them and ordered both the Dr. Christopher and Herb Pharm figuring the Herb Pharm, which was Prime shipping for me, would arrive quickly and I could use it until my Dr. Christopher cayenne tincture arrived. They’re both good, but I’m kind of drawn to Christopher’s more. Look at how rich and dark the Christopher’s is vs Herb Pharm. So, there you have it. Try some cayenne tincture to spice up your life.